Hong Kong is a colourful city where East meets West, lives are made and lost. Hong Kong superstar and world famous author, revolutionaries and philanthropists, emperors and pirates, generals and businessmen: this book comprises short biographies of people who have made history here. Meet Kung fu artist Bruce Lee, writer Chang Ai-ling, the Cantonese opera singer Sun Ma Sze-tsang and Sir Matthew Nathan who moved mountains to build Nathan Road. Discover how Doctor Manson shook up the medical world by proving that malaria was transmitted by mosquitoes, and how Reverend Carl Smith shook up local history by writing from the standpoint of Hongkongers. 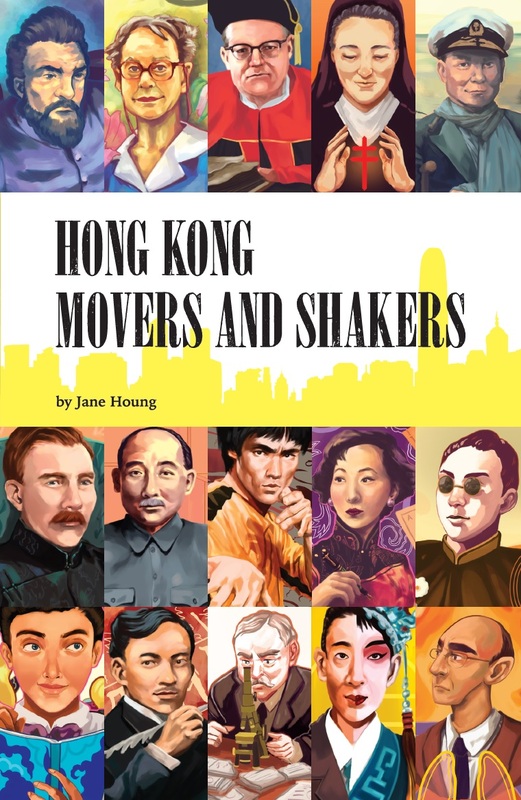 Jane Houng has selected thirty interesting characters from Hong Kong’s past and brought them to life for children. Jane Houng’s young adult novel Bloodswell was published by QX Publishing Company in 2012. She has also published Houng’s; Lantau Life; Cat Soup and Other Short Stories; Pun Choi:a hotchpotch of Chinese folk and fairy tales; and poetry. She writes reviews for the Asian Review of Books, and stories for children’s newspapers published by Sing Tao News Corporation. Further details can be found on her author website: http://www.janehoung.com.